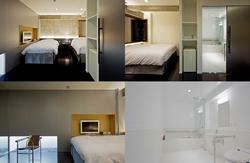 We are a Japanese style hotel located in the heart of Asakusa, one of the most famous tourist spots in Tokyo. We installed LAN in ALL rooms and WiFi Wireless Internet in our whole building. It takes only about 5 minute to walk from all the train stations nearby. 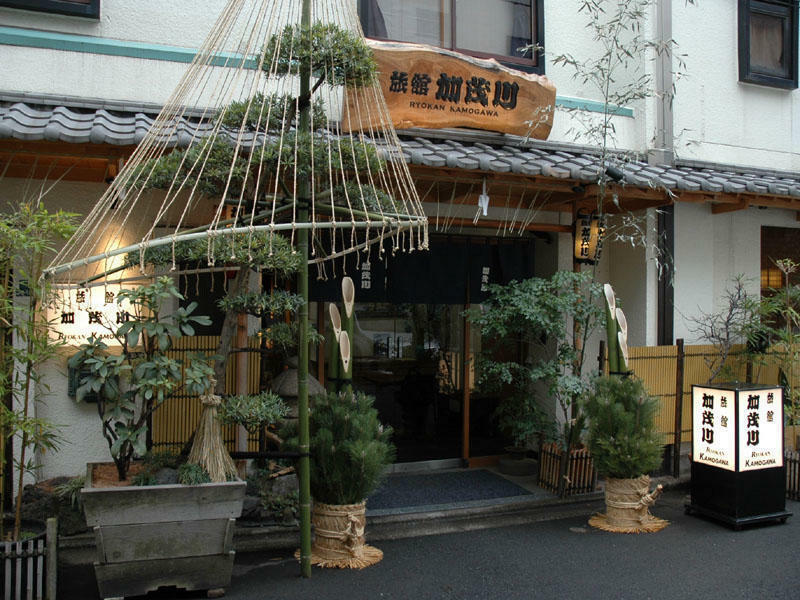 Ryokan Kamogawa Asakusa promises convenience and comfort with its location and service. As the former center of Tokyo, Asakusa is home to many seasonal festivals. All rooms are ensuited. Also we have a Japanese style bath which can be used privately on the ground floor and shower room (24 hours available) on 2nd floor. There is a laptop for common use. CNN through satellite TV available at the cafe on the 1st floor as well. We are near Senso-ji (temple), and only 30 seconds to the Nakamise street which is lined by many traditional souvenir shops. Our facilities include common room, public baths, FREE Internet (in our whole building), banquet room. Japanese style breakfast is 1,000 yen per person. Western one is 700 yen. Please order at your check-in. We are near Sensoji Temple (5 min walk), Asakusa Tourist Information Center (5 min walk), Nakamise Dori (souvenir shop street, 30 sec walk), Hanayashiki Amusement Park, Kappabashi dori, whole sale Japanese restaurant goods, Sumida River -- Tokyo Bay, Ferry Boat rides available and Ueno Park. Check-in is 3 p.m. - 11:30p.m. and check-out is 10 a.m. The common room on the first floor will be used as a cafe after the breakfast time. Curfew: The front door basically closes at 11:30p.m. If you are going to come back after the time, please ask the staff. We can introduce how to use our back-door. For payment, major credit cards are accepted. 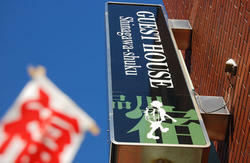 It is very easy to find our hotel as we are close from the Asakusa's main street - Nakamise Dori. 5. You will find a sign with 'Hotel Kamogawa (former name)' on your left. Ryokan Kamogawa Asakusa only about 3 to 5 min walk from all the train stations nearby. Ryokan Kamogawa is only about 3 to 5 min walk from all the train stations nearby.